We have been reading Anthony Browne's book ' Gorilla'. In the story Hannah visits the zoo and notices that the monkeys in the cages are sad. The children began to discuss why the animals were sad. We then asked the question ' Should animals be kept in the zoo ? '. The children were brilliant at expressing their opinions and justifying why they thought that. What was surprising was that since we had learnt about conservation and saving the rainforest, lots of children thought zoos ware a good idea. 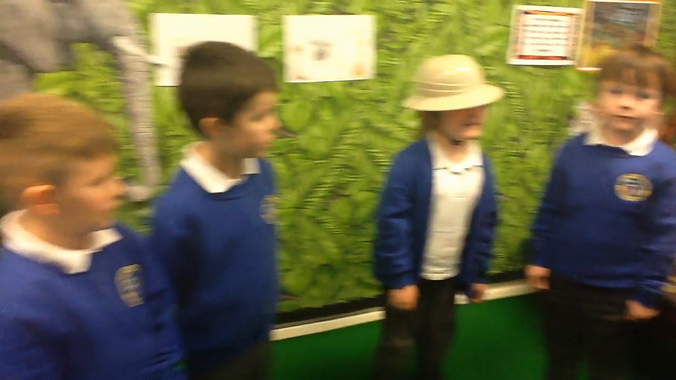 We then created a 'conscience corridor' where the zoo keeper walks along the children who express their opinions from both viewpoints.